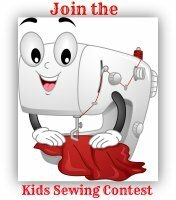 Curtains don't have to be difficult, try this easy sew curtains project to decorate any window in your house. It would be fun for kids to pick out a coordinating fabric for their bedrooms and then sew these curtains for their room. You will need to measure your window and add 40 inches to your length and add 2 inches for your width. Our window was 125 x 43 so our curtain measurement was 165 inches x 45 inches. Now that is too much for one curtain so we are making 4 panels each 42 x 45 inches. 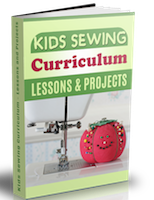 Cut your fabric into the correct measurements and however many panels you may or may not be needing. Take each curtain panel you cut and turn the edges down 1/4 inch and 1/4 inch again. Hem all around edges. To make your curtain tabs, determine how many tabs you'd like usually 8 tabs for a 45 inch curtain works well or a tab every 5 inches. Determine how many tabs in total you will need, depending on how many panels you are making. Each tab should be 4x7 but you can make these larger or wider as you'd like as long as they are all cut out the same length. Cut the number of tabs needed from your fabric. Match right sides together on your tabs and sew along edge. 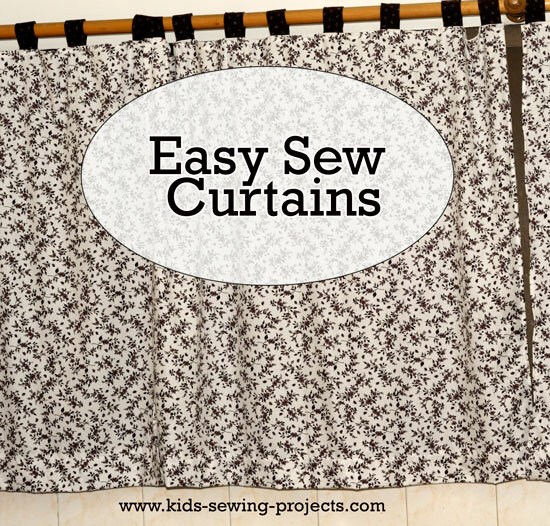 Take your hemmed panel curtain and fold in half. This will help you find the middle of your panel. 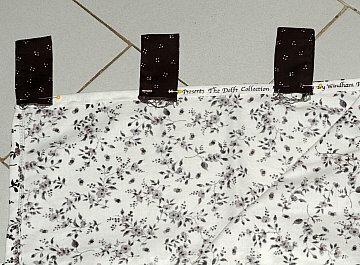 Pin your tabs on the wrong side pinning equal distance on top of your curtain panel. Sew into place straight across the top. Continue with all your panels and hang on a rod as shown below. Learn how to make a throw rug to match these easy sew curtains.